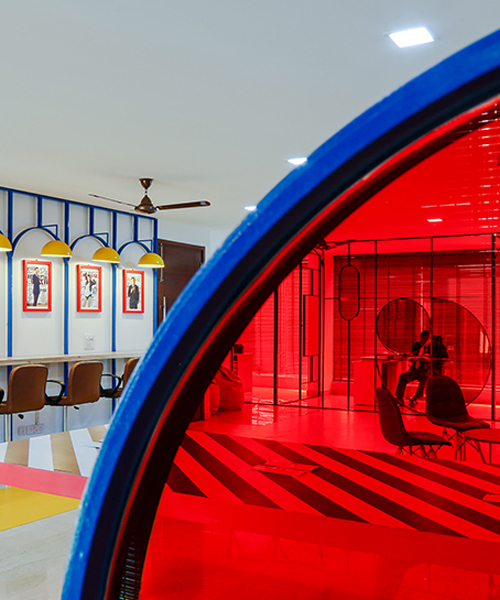 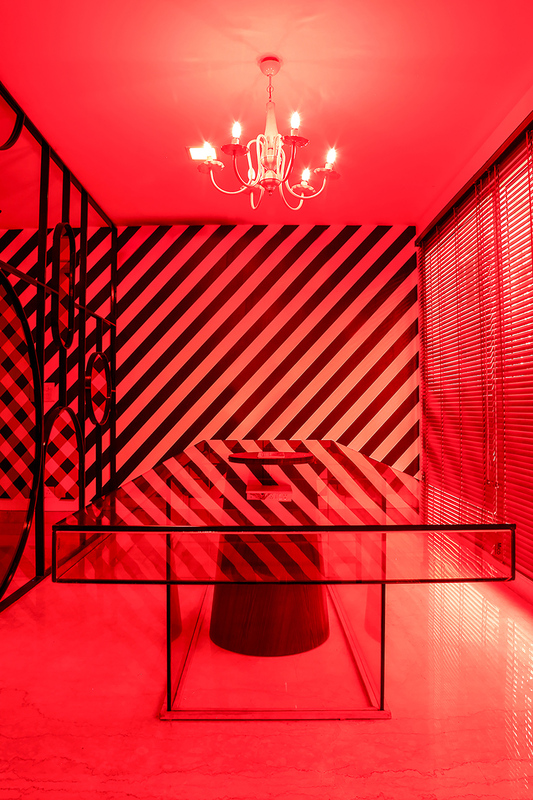 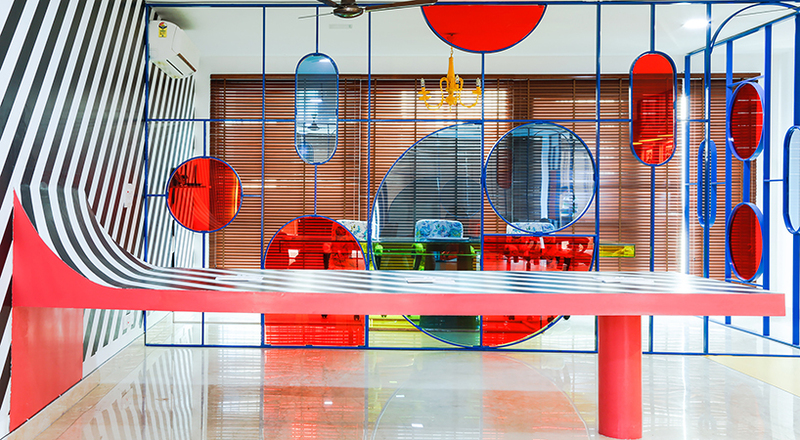 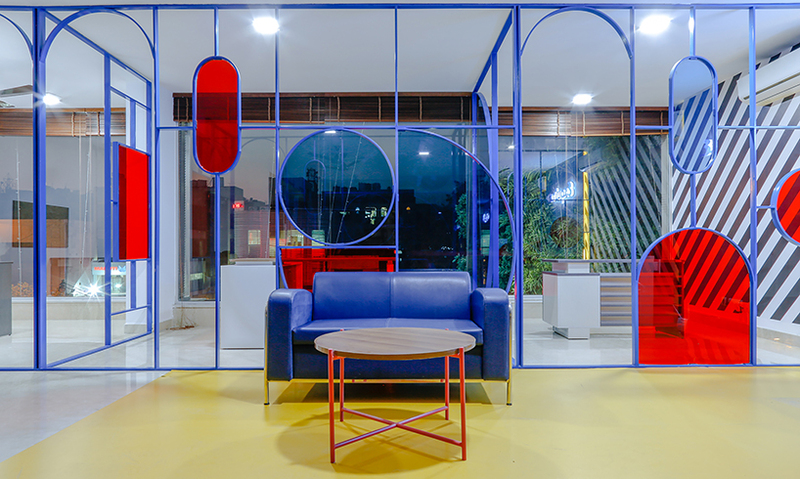 studio bipolar designs esquire nightclub’s administration workspace in new delhi, with a quirky, yet sophisticated character. 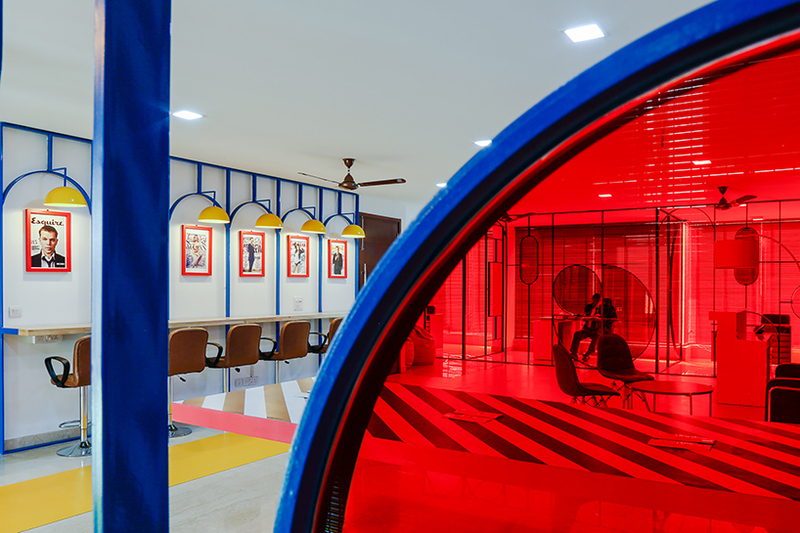 the use of primary colors in the interior spaces aims ‘to enact dynamism in the mindset of its users,’ while the art deco elements reference the era when esquire magazine first emerged, marking the moment when traditionalism gradually converted into modernism. 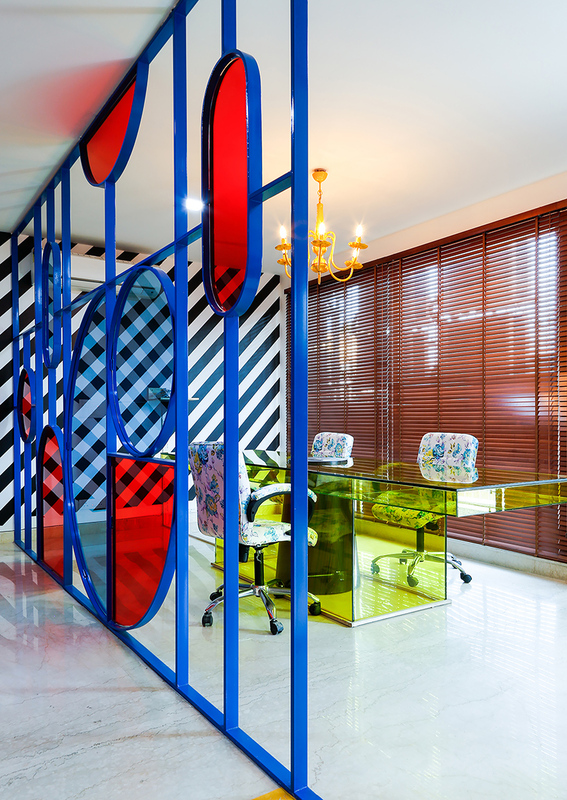 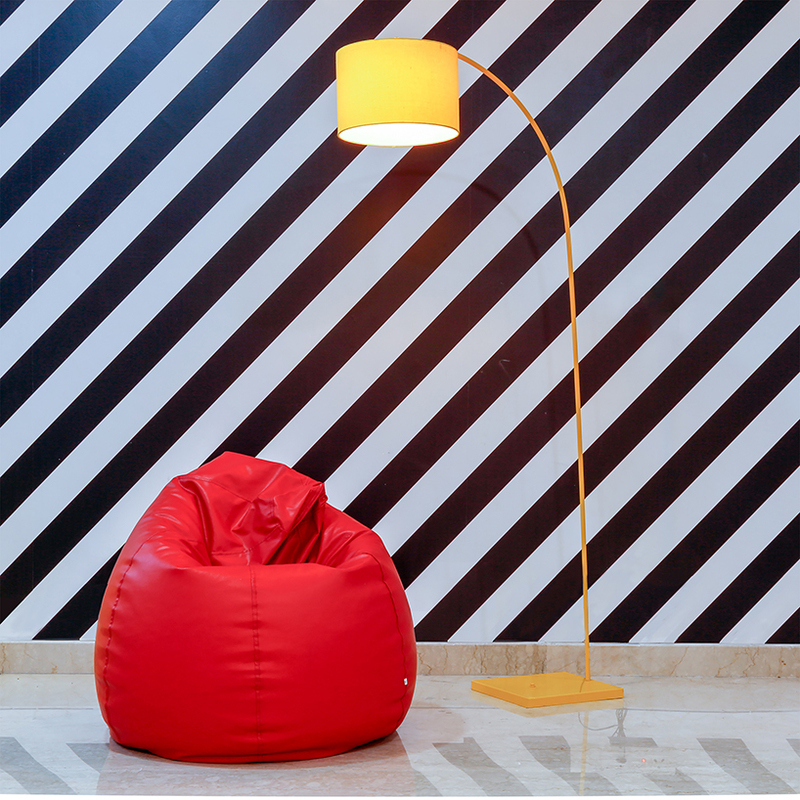 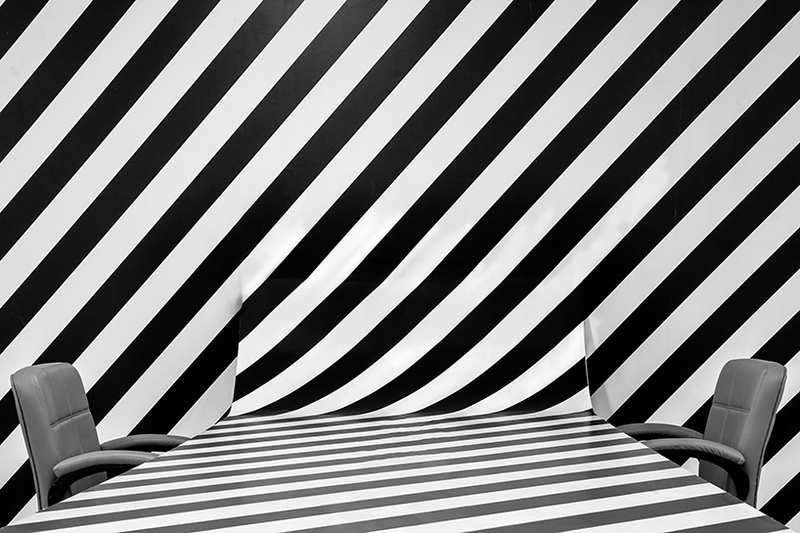 the studio describes esquire’s design concept as ‘sophisticated madness’, with distinctive elements such as a yellow carpet, a black and white-striped wallpaper and a yellow-tinted glass conference table. 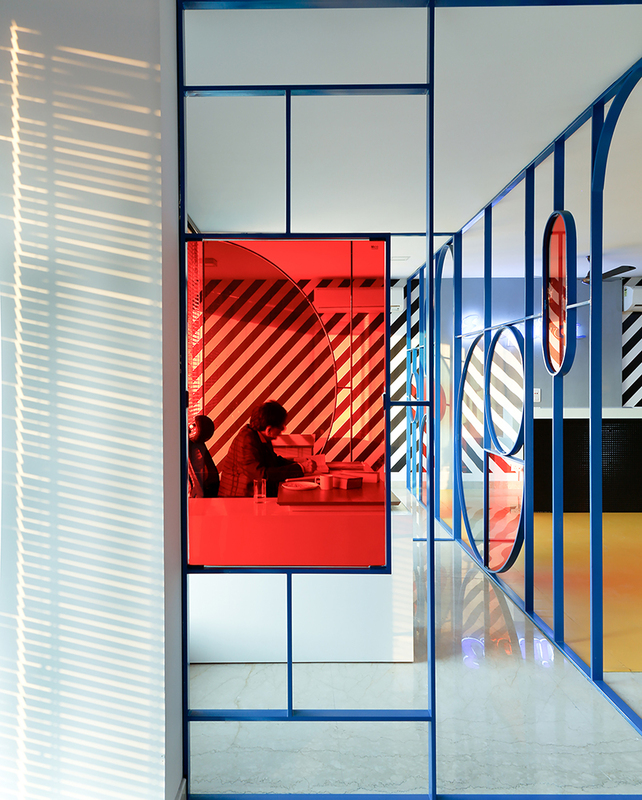 the large space is divided into individual sections with the use of art deco-looking, metal structures with tinted glass infills in various colors. 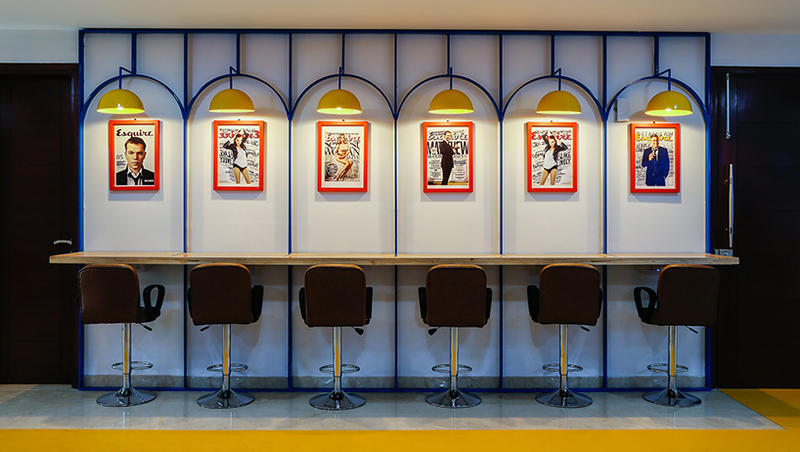 a high table that resembles a bar counter offers a functional space for work, while iconic esquire covers featured on the supporting wall behind it and in other surfaces throughout the space, reinforce the brand image.